Round 5 of the US Winter Series, supported by KO Sailing. 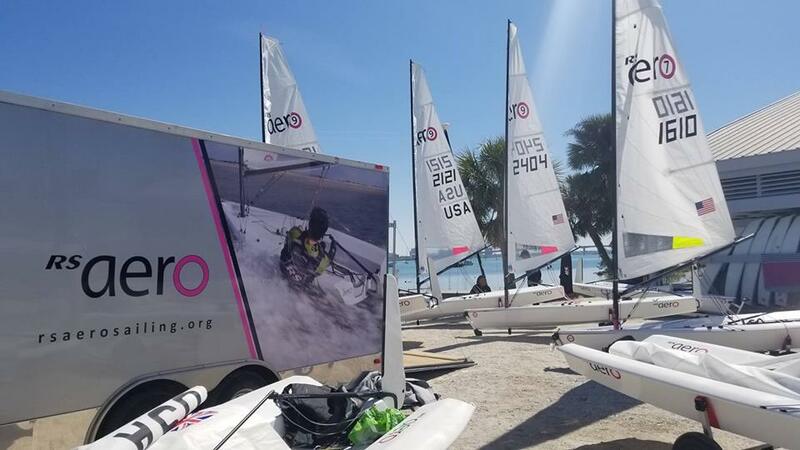 Sunny Sarasota was the setting for the fifth and final regatta of the 2019 RS Aero US Winter Series supported by KO Sailing. Despite the tropical location, wind patterns were disrupted by the Cyclone Bomb event up north. While the beautiful location and wildlife didn’t disappoint, with exotic birds, sea turtles and dolphins, the wind was uncharacteristically elusive at times and the race team did a great job in securing seven good races. Day 1 was bright and sunny with moderate wind building through the day. Four races of 45 minutes each were sailed under champagne conditions. Bob Patterson of the Melbourne Yacht Club traded firsts with World Champion Marc Jacobi. Bob’s OCS in Race 3 gave Jacobi the edge, but not much breathing room with Jim Meyers knocking on the door with a very consistent performance for the day. The fleet was thrilled to welcome local youth racer Aden Anderson. His impressive downwind skills were on display over the course of the day. Driving his RS Aero like it was stolen, he turned in a Top-5 finish after an astounding final leg in Race 3. Also sailing RS Aeros for the first time were the Brooklyn Boyz, Boris Mezhibovskly and Max Loshinsky. They proved to be quick studies and had moments of brilliance throughout the series. Boris and Max were not only impressed with the boats but truly enjoyed the camaraderie of the Aero fleet. We look forward to seeing more of them. Day 2 started with a hangover from the champagne of Day 1. After a long morning postponement the wind began to fill in and the fleets launched. A pleasant sail with dolphin sightings was enjoyed on the way to the course, but the wind failed to check in with the committee boat, so the bobbing began. The locals were undaunted and made assurances it would fill in. The fleet bobbed, chatted, discussed trimming, practiced roll tacks and did some swimming – everything but race. Eventually racing was cancelled and the boats returned in a combination of towing and “sailing.” Then the wind arrived. The Brooklyn Boyz took advantage of the situation and stayed on the water honing their new skills and getting ready for the final day of racing. As Day 3 dawned everyone had high hopes and fantasies fuelled by wind apps. While rigging, the excitement was electric and spirits high as the wind ratcheted up. The fleet zipped out to the race course as the sun broke through the clouds and the wind died, as did the spirits of a few racers. Weary of staring at the limp postponement flag, Jacobi convinced a sceptical race committee to start the Aeros. Proving these boats can really move in 3 to 4 knots, the fleet gallantly completed a race. As a reward from somewhere, the wind then arrived. 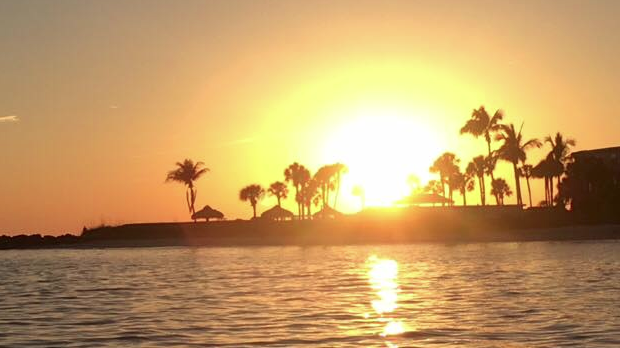 Race 2 was spectacular, showcasing Sarasota's more typical conditions with 8 to 10 knots. The wind stayed around for half of Race 3 and then disappeared as suddenly as it had arrived. In the end 7 races were sailed in a wide variety of conditions requiring a vast range of skills. Jim Meyers proved the adage “you want to be consistently good, not occasionally great” by edging out Bob Patterson for second place, with Marc Jacobi taking the top of the podium. The RS Aero charter trailer now moves on to Texas for the spring, supporting regattas there for the next few months. For full details of RS Aero North American events check out their Events List. Awesome 360' movie by Marc Jacobi. You can toggle around in all directions and up the rig - like you were onboard with him, sitting on his deck! An excellent coaching tool.